Question: How much residual AC ripple is acceptable for the negative bias supply? You say my bias supply without a reference to a schematic? The ones that are actually mine have large filters and extremely low hum as a result, and are tied to the correct points to follow galactic Ground principles. Every supply node should have the lowest ripple possible, within reason of complexity, cost and circuit context. For an SE amp, cost or complexity must be spent to assure a quiet output, where push-pull has inherent power supply noise rejection when balance and thus the latter can have a noisier PSU but be quieter overall than SE. The negative bias supply in this amp is similar to the one on your 10W power supply PCB. Schematic is probably identical. Note that earlier the Cs were small and now they are large; should be 100uF in all positions. Looks interesting! 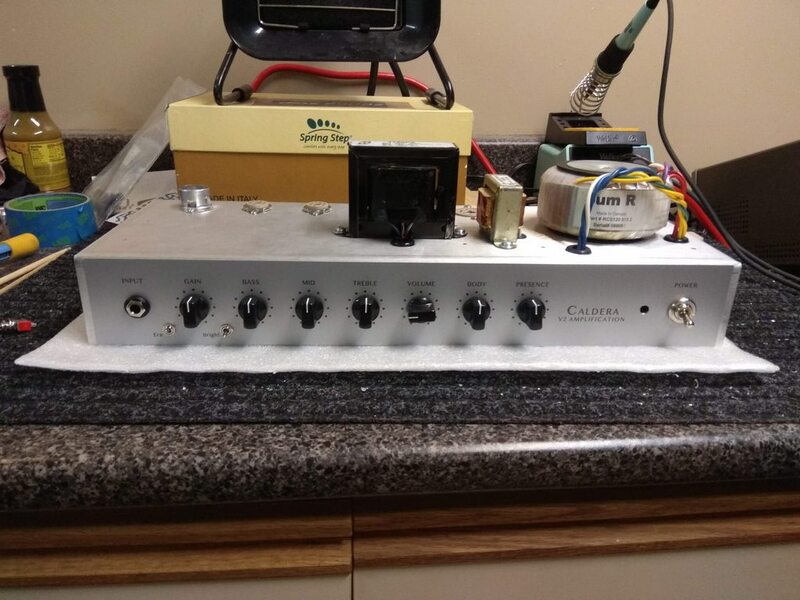 What is the pre-amp design? (01-28-2019, 01:11 PM)makinrose Wrote: Looks interesting! 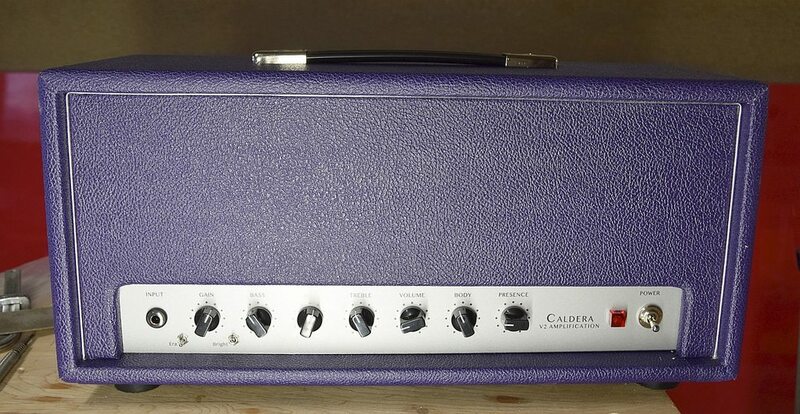 What is the pre-amp design? Three gain stages, with EQ after the last gain stage. 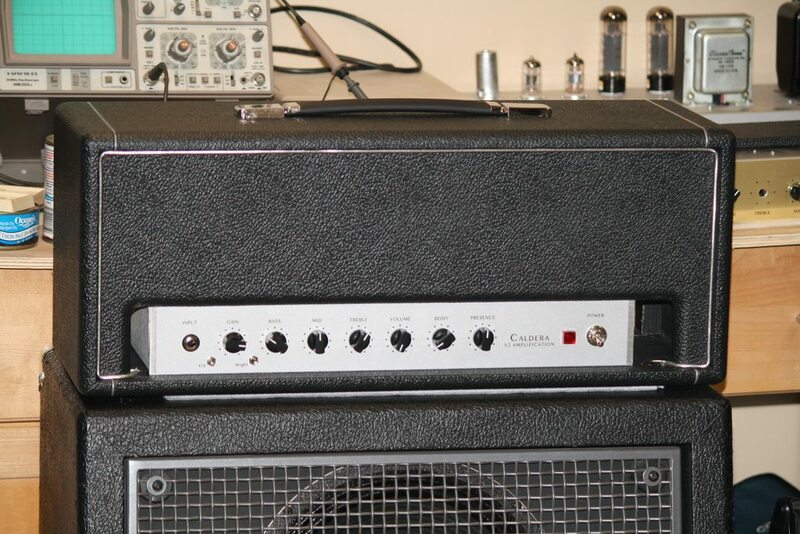 A bit more gain on tap than in a JCM800; more modern feel with 'era' switch set to 'modern'. I purchased a LP-style guitar with some soft of Gibson pickups. 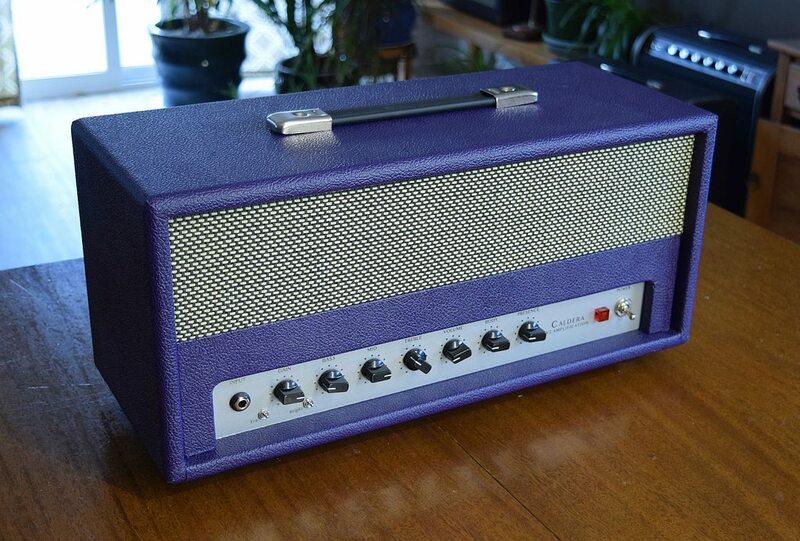 The guitar sounds great, but there is more squeal through my little high-gain amp. Guitar pickups have the usual parasitic elements of inductance and capacitance and these vary with the design and the manufacturing consistency. The latter can manifest itself with how the wire is wrapped - is it neat, tight layers, or does the bulk of turns simply fill the space? neat winding leads to both pickups sounding the same and sounding the same from one guitar to the next. Loose windings may be "vintage" in a way, although I doubt any manufactured pickup was made that way, and definitely gives uniqueness to each pickup and thus to each guitar. In any case, it seems like a damping resistor would be the simplest fix to employ; just place this across the output of the offending pickup ahead of the volume and tone controls. You could get fancy and use a cap in series with a resistor, but that would be difficult to tune without using a scope. As soon as I write that, I realise doing it by ear is about the same as adding the R and tweaking that by ear. If it has Burstbuckers that's would also explain your troubles. Those pickups are unpotted and purposely wound with uneven coils. I had some at one point and they squealed with high volume and high gain. I liked using them to get feedback at low volumes for recording but eventually tired dealing with the noise. Most of the of Gibson pickups are well potted and are supposed to have even windings...I'm interested to see how Kevin's suggestion works for you. How did you make the front panel? Looks great. Thanks! 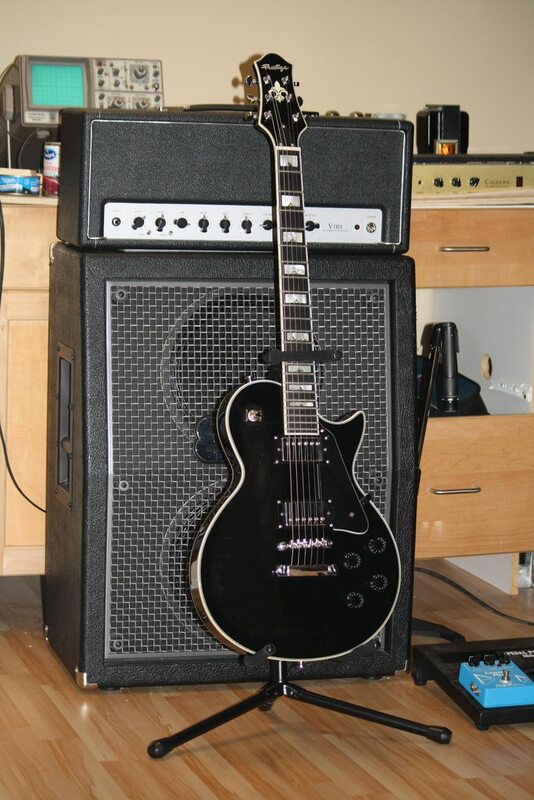 I get my panels from Mason at TMI Amplification. He's on a tube-amp-builders group on FB.